I would just like to commend two Armed Reaction officers who were responsible for recent arrests. Firstly on Saturday 20th September 2014 @ 03:23, our control room monitoring centre (CMC) received an alarm activation from a house in Upper Maynard Street. Upon arrival our Armed Reaction supervisor, Jimmy Cox, met with the client and viewed footage of a suspect who had been on the property. The Armed Response officer (ARO) left the premises and with another vehicle conducted a search pattern in the area. The suspect was found in Buitenkant Street and detained. A case of trespassing was opened. Response time, less than 4 minutes. On the morning of 30th September 2014 @ 02:26, our control room monitoring centre received a call from a member of the public who believed someone was attempting to steal a vehicle in Kuyper Street Zonnebloem. AROs Pheello Ntho and Johannes Motsholakhetse were dispatched and arrived in just less than 4 minutes. On arrival, a suspect was found inside the vehicle and arrested. The suspect had already dismantled the steering lock and was found under the dashboard busy with the wiring. The suspect, from Philippi was arrested and handed over to SAPS who arrived shortly thereafter. Fast responses equate to good arrests, well done! Point of Note – How does your alarm communicate with our control room monitoring centre (CMC) and is your alarm adequately connected? Throughout the industry, communication of alarm events between an alarm and a CMC is conducted either via a telephone link, radio transmitter or GPRS protocol. There appears to be a misconception in the market that the use of a singular communication method provides a 100% guarantee that all events will arrive at our CMC. None of the communication protocols can provide a guaranteed 100% up time. Phone lines can be cut, Telkom may be experiencing problems, high sites for radio transmitters may be down for various reasons and links via SIM cards may be down due to network or other related issues. CBAR is obligated to inform you, the client, of the above as there are a number of clients that are still linked exclusively on a singular monitoring platform. Those clients who are still on telephone monitoring only (perfectly normal 20 years ago) or on an alarm link via SIM card, should seriously consider having a radio transmitter installed as a fail-safe to the primary and only means of link to our CMC. This would then, as preferred by insurers, give the alarm a second communication protocol. 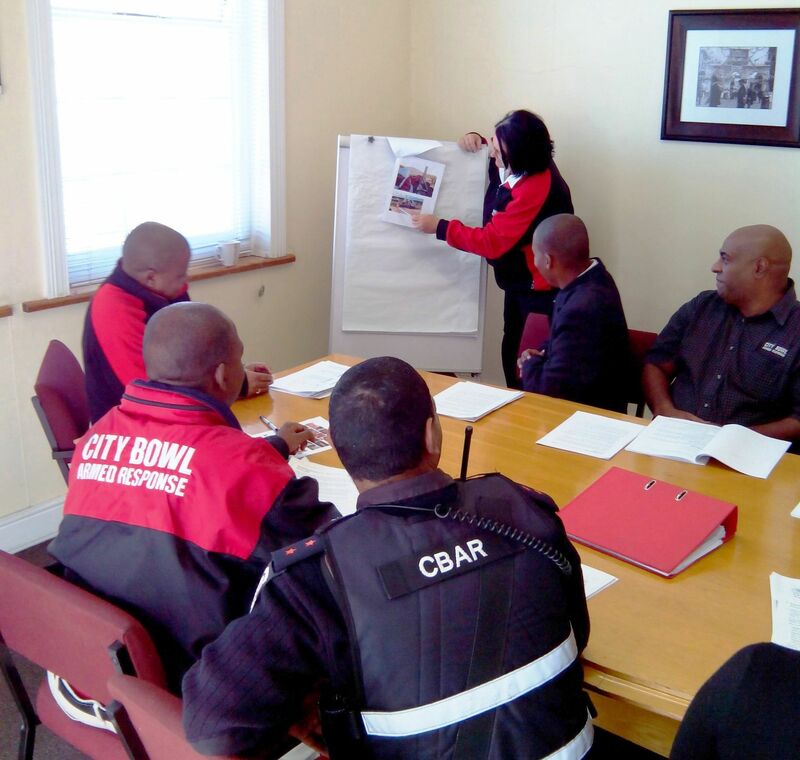 Should you have any queries about your alarm and how it is linked to our CMC, kindly contact Colin Smith, our Technical Manager on 0860 151515 or via email at colin@citybowlsecurity.co.za. In recent weeks, a few clients have experienced break-ins and subsequent losses worth hundreds of thousands of rands, which could have been avoided by SWITCHING ON THEIR ALARMS. There will be no response from CBAR unless we receive a signal from the alarm. We receive many phone calls after the fact, advising us that a burglary has occurred. This could result in your insurer failing to pay your claim should an ARMED alarm be a pre-requisite in your policy. Then there is the whole traumatic experience of cleaning up a house after the criminals have spent time removing items at their leisure. An alarm system does not prevent break-ins, it minimizes the time criminals get to spend in YOUR HOUSE. It is each client’s responsibly to maintain and manage their alarm system. This will alleviate false alarms and provide an electronic detection system which CBAR relies on to fulfill our obligations to you, namely a fast and efficient response to your premises should it be required. I could list all the do’s and don’ts on how to avoid your car being broken into or advise you to lock all windows and doors at home, don’t leave valuable lying around, arm your alarm, put an outside light on at night etc. but in most instances these are seen as irrelevant. It comes down to common sense which too is also often ignored due to external stimuli in modern day life. This is evident in the number of reports we receive daily, of laptops and cellphones stolen out of cars or the fact that gates and garage doors are left open day and night. Until it becomes a mindset and implemented on a minute to minute basis, we will always become easy pickings. With the festive season bearing down on us, now is the time to do the exercise of self-evaluating whether our personal spaces are secure. Please visit our web-site for all the latest incidents.